Shiv Sena said that its party representative made a "courtesy visit" to Chandrababu Naidu's protest. Shiv Sena on Wednesday said its leader Sanjay Raut's visit to Andhra Pradesh Chief Minister N Chandrababu Naidu during his fast in Delhi was merely a courtesy call, and criticised the BJP over handling of its allies. 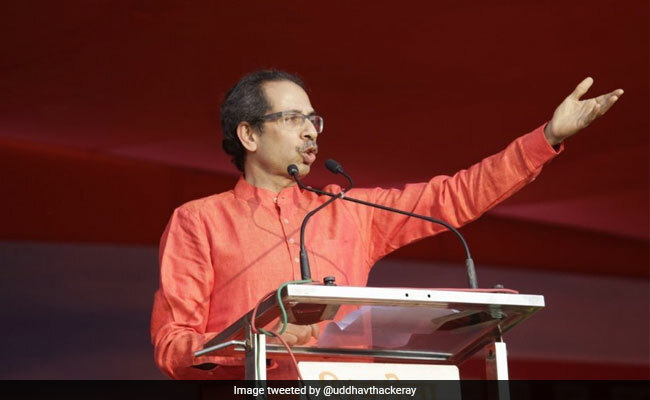 The Uddhav Thackeray-led party also asked what was the guarantee that the BJP will not reach out to its former ally, the Naidu-led TDP, in case it falls short of numbers to form government after the Lok Sabha elections. Senior Sena leader and Rajya Sabha member Sanjay Raut had on Monday made a surprise appearance at Mr Naidu's day-long protest over demand for special status for his state, saying he came to attend the event as a representative of his party, which shares strained relations with senior ally BJP. Justifying Mr Raut's meeting with Mr Naidu, the Sena, in an editorial in party mouthpiece "Saamana", said the leader visited Andhra Pradesh chief minister as a "courtesy" because his state has been split into two. Mr Naidu was a "great leader" till the time he was with the NDA and now he is suddenly "untouchable", the editorial said. Both were buried at the Tihar jail in Delhi. Maqbool Bhat was hanged in Tihar on February 11, 1984 following his conviction in the killing of an intelligence official while Afzal Guru was hanged on February 9, 2013. Sena, which is an ally of the BJP at the centre and in Maharashtra, claimed the activities of Mehbooba Mufti's party are "pro-Pakistan" and demanded that it be considered as "anti-national".